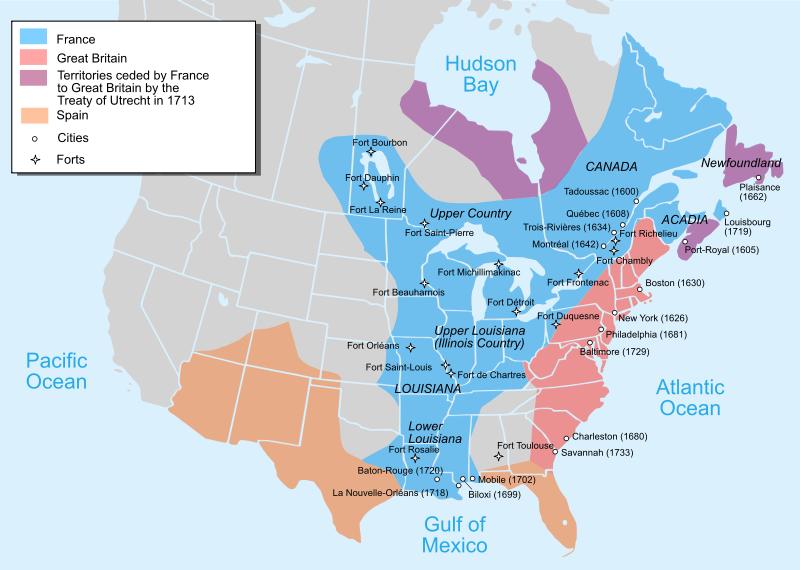 In 1754 both France and Great Britain had large colonial interests in North America. Britain, of course, had the 13 colonies plus Newfoundland, Nova Scotia, New Brunswick and Hudson’s Bay. France had New France, which extended from Isle Royale (Cape Breton Island today) in the east to the Rocky Mountains in the west and from what is now southern Ontario in the north to the Gulf of Mexico in the south. My sixth great-grandfather, John Brown, and two of his sons, Perley Brown (my fifth great-grandfather), and John Brown, Jr., served with the British forces in this war. In the Fall of 1756, the three men were members of a Minute Men brigade that went from their home town of Leicester, Massachusetts to join others in a planned assault on the French Fort St. Frederic (now Crown Point) at the southern end of Lake Champlain in today’s upstate New York. 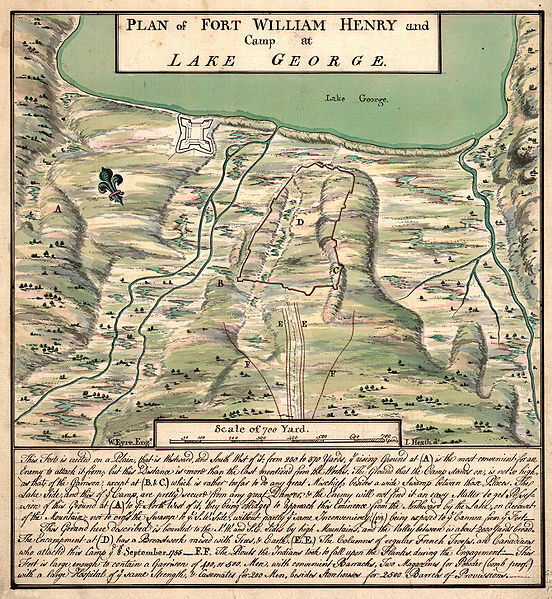 However, before the offensive got underway, word arrived of the French victory at Fort Oswego on the southeastern shore of Lake Ontario in present-day New York. The British feared that an overwhelming French army would be assembled in the Champlain Valley, and, therefore, the British cancelled the planed attack. Under the terms of surrender, the French were to protect the British from the Indian allies of the French. The Indians, however, attacked the withdrawing British forces who had been stripped of their ammunition and killed and scalped a significant number of soldiers. The Indians also captured women, children, servants and slaves. (This incident was portrayed in James Fenimore Cooper’s 1826 novel, The Last of the Mohicans.) Fortunately the three Browns were not involved in this massacre. The 13 colonies were Province of New Hampshire, Province of Massachusetts Bay, Colony of Rhode Island and Providence Plantation, Connecticut Colony, Province of New York, Province of New Jersey, Province of Pennsylvania, the Lower Colonies on Delaware, Province of Maryland, Colony and Dominion of Virginia, Province of North Carolina, Province of South Carolina and Province of Georgia. Carol Willits Brown, William Brown–English Immigrant of Hatfield and Leicester, Massachusetts, and His Descendants c. 1669-1994 at 6, 11, 17 (Gateway Press; Baltimore, MD 1994). John Brown (my maternal 6th great-grandfather as Henry Louis Gates, Jr. would say) in 1745 served in the British colonial army during the reign of King George II in what was known in North America as King George’s War. Let us see how that came about. 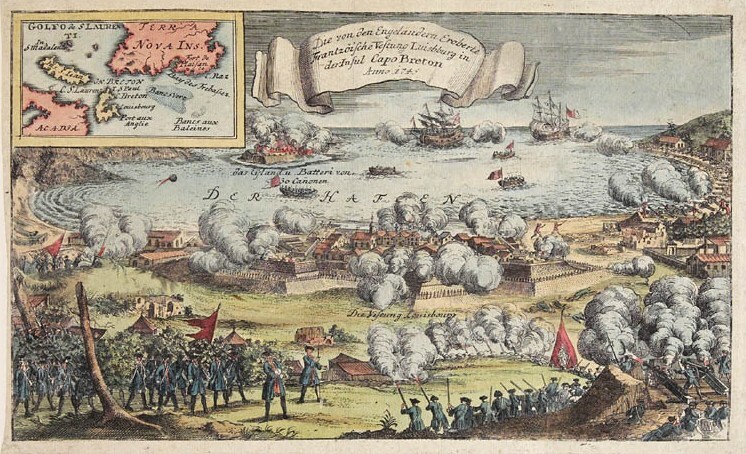 In 1740 war broke out in Europe. The pretexual issue was whether Maria Theresa was eligible to succeed to the Hapsburg throne of Austria after the death of her father, Charles VI. This issue was created by Salic or Frankish law precluding royal inheritance by a woman. Thus, this war in Europe is known as the War of the Austrian Succession. This war eventually involved most of the European powers and other issues of a more real politik nature. 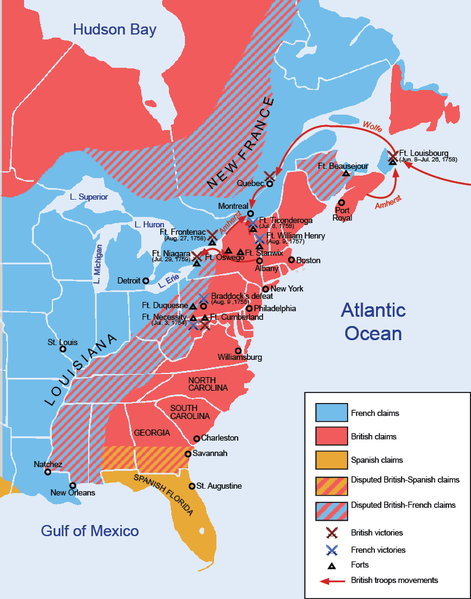 By 1744 France and Great Britain were on opposite sides of this war, and in that year each declared war on the other. 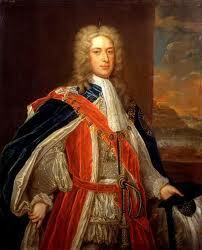 At that time (1744) both Britain and France had large colonial interests in North America. Britain then in the reign of King George II, of course, had the 13 colonies plus Newfoundland, Nova Scotia, New Brunswick and Hudson’s Bay. France had New France, which extended from Isle Royale (Cape Breton Island today) in the east to the Rocky Mountains in the west and from what is now southern Ontario in the north to the Gulf of Mexico in the south. Importantly, however, under the 1713 Treaty of Utrecht the extant of New France had been reduced with France ceding to Britain what is now Hudson’s Bay, Nova Scotia, New Brunswick, part of Maine and Newfoundland. This loss of territory by France made Isle Royale (Cape Breton Island) very important to France as the guardian of the approach to the St. Lawrence River, which was the gateway to French Canada, and of the Grand Banks fisheries. 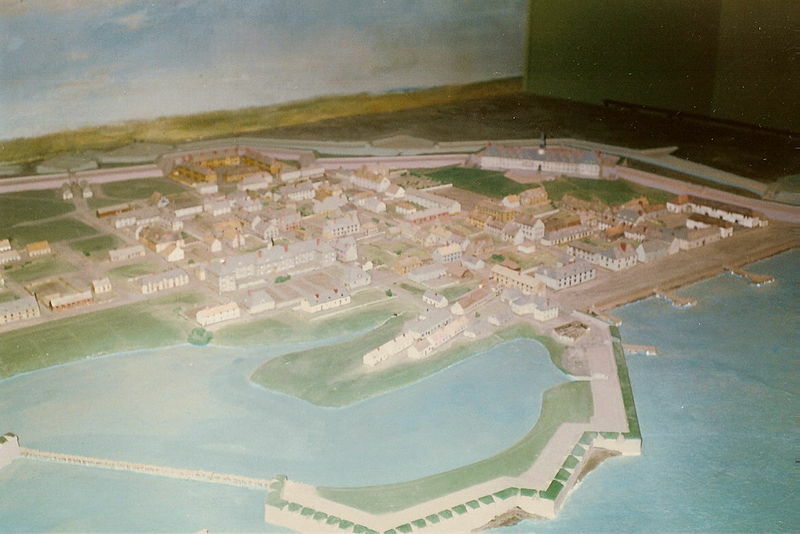 As a result, between 1720 and 1740 France constructed the strongest fortress in North America, the walled city of Louisburg at the eastern end of Isle Royale. It became “the key and stronghold of French power” in New France. It was designed and built to resist ship attacks from the sea, but as the French discovered in 1745 the hills behind the fortress made it vulnerable to bombardment by cannons on those hills. 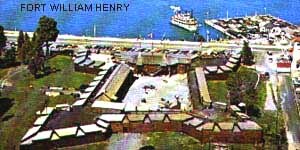 For the British colonists in North America, however, Louisburg “menaced the lifeline of the New England colonies.” With this fortress, France could sweep the coast of New England and its ships with French expeditions. As a result, New England’s merchants were reluctant to risk putting their ships to sea and its fishermen were threatened from cod fishing in the Grand Banks of Newfoundland, then and now one of the richest fishing grounds in the world. Once Great Britain and France had declared war against each other in Europe in 1744, military skirmishes between them occurred in North America, primarily on the frontier between their colonies. 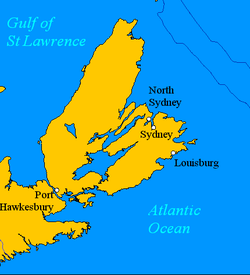 In 1744, French forces raided the British port at Canso, Nova Scotia not far from Louisburg and another British fort, Fort St. Anne, in New York. This became known in North America as King George’s War. 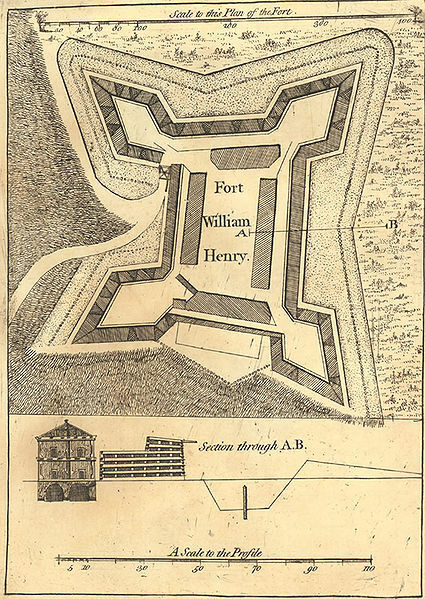 These French attacks and the existence of the war in Europe provided an opportunity (or excuse) for the colonists (with British assistance) to attack the French fortress at Louisburg. 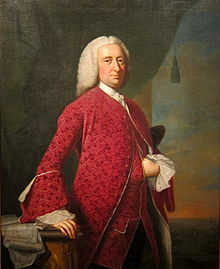 William Vaughan, a local fisheries and lumber baron, persuaded the Governor of the Province of Massachusetts Bay to seek colonial legislative authorization for just such an attack. That authorization was obtained by just one vote. In March of 1745, a Massachusetts-led colonial force of 4,200 soldiers and sailors aboard 90 ships set sail from Boston to do just that. 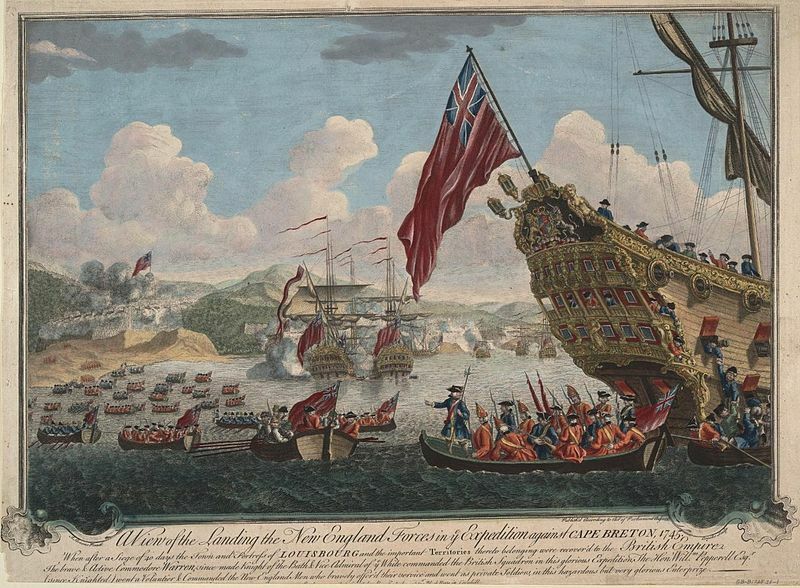 At Canso, Nova Scotia, they were joined by an additional 16 ships under the command of British Commodore Peter Warren. John Brown was in that expedition as a captain of one of the units and participated in the successful 47-day siege and bombardment of the fortress and its capture on June 18, 1745. The Louisburg siege and capture turned out to be the most significant military engagement of King George’s War. It strengthened the colonists’ military spirit, provided a training school for their future fighting in the Revolutionary War and gave them a new awareness of their own capabilities. 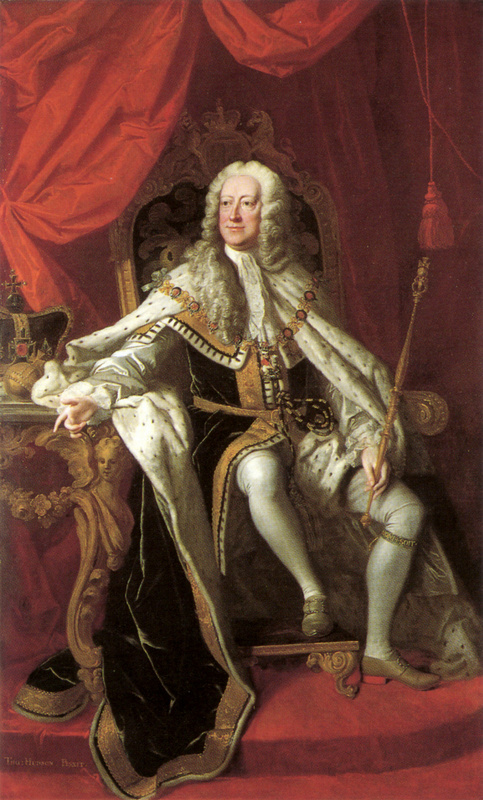 The War of the Austrian Succession and its North American sideshow (King George’s War) lasted until 1748 when all of the parties negotiated the Treaty of Aix-la-Chapelle. Much to the consternation of the British colonists, Louisburg was returned to France under this treaty. 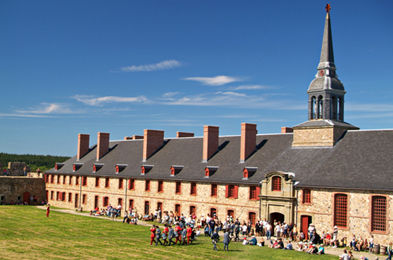 The Fortress of Louisbourg is now a National Historic Site of Canada. Carol Willits Brown, William Brown–English Immigrant of Hatfield and Leicester, Massachusetts, and His Descendants c. 1669-1994 at 6 (Gateway Press; Baltimore, MD 1994). Samuel Adams Drake, The Taking of Louisburg 1745 at 13 (Boston; Lee & Shepard 1891) [“Drake”]; Fairfax Downey, Louisbourg: Key to a Continent at 1(Englewood Cliff, NJ; Prentice-Hall 1965) [“Downey”]. Drake at 46; Downey at 1. Letter, William Shirley, Governor of Massachusetts-Bay to Duke of Newcastle with journal of siege of Louisbourg (Oct. 28, 1745). This March a court in the Netherlands awarded 1 million euros to a Palestinian plaintiff against 12 Libyan officials for torture and inhumane treatment over eight years in a Libyan prison. 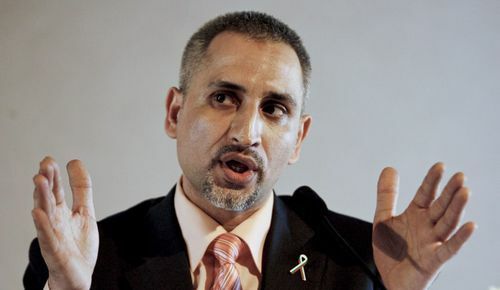 The plaintiff, Dr. Ashraf al-Hajuji, who now lives in the Netherlands, along with five Bulgarian nurses had been charged in Libya in 2000 with deliberately infecting over 400 children with HIV-AIDS. In 2004 they were convicted and sentenced to death by a firing squad. A year later the convictions were overturned and a new trial was ordered after Bulgaria agreed to establish a fund for the families of the infected children. In December 2006, however, Dr. Hajuji and the nurses were again convicted and sentenced to death, but in July 2007 their sentences were commuted to life imprisonment after the children’s relatives agreed to accept compensation of $1 million per child. In 2007 the doctor and nurses were pardoned and released after French President Sarkozy negotiated with Col. Muammar Gaddafi . Gaddafi admitted they had suffered horrible torture in Libyan prisons. This may be the first time another legal system has granted a civil monetary damages award to a foreigner due to violation of international human rights norms by other foreigners in a foreign country similar to the awards made by U.S. courts in civil lawsuits under the Alien Tort Statute. In the meantime, Bulgarian prosecutors are still investigating what happened in Libya for a possible criminal prosecution of those responsible for the torture. The International Criminal Court (ICC) has 18 judges, each of whom serves only one term of nine years. In December of 2011 six new judges will be elected by the Court’s governing body, the Assembly of States Parties. Western Europe & Other States Parties: 2 from 22 Western European/Other States Parties (25 – 3 (Belgium, Finland, and Germany, which already are represented on the Court)). Nominees for these six positions must come from the 115 States Parties (with no more than one nomination from each such State) during the period June 13 through September 2, 2011. Each nomination must have a statement specifying how the individual meets the personal requirements of the Rome Statute. Judge John Bankole Thompson of Sierra Leone. He has been a Judge of the High Court of Sierra Leone and of the Trial Chamber of the Special Court for Sierra Leone. He also has been a law professor in his country and in the U.S. (University of Akron School of Law, Kent State University and Eastern Kentucky University. He holds LLB, M.A. and Ph. D. degrees in law from Cambridge University. Bruno Cathala of France. He has been the ICC’s Registrar and its Director of Common Services; Deputy Registrar of the ICTY; president of two regional French courts and one of its juvenile courts. He also has been Deputy Director of a French government department for judicial protection of juveniles. He hold degrees from France’s Institutes of Higher National Defense Studies and of Higher Internal Security Studies and a post-graduate pre-PhD diploma in Private Law from the School of Law, University of Paris. Chile Eboe-Osujl of Nigeria. He has been an advocate in criminal cases in the courts of Nigeria and Canada and a prosecutor at the ICTR and the Special Court for Sierra Leone. He has served as an advisor to the U.N. High Commissioner for Human Rights and to the Nigerian delegation to the ICC’s Review Conference on the crime of aggression. He has taught international criminal law at the University of Ottawa. He has special experience and expertise regarding violence against women and children. Gberdao Gustave Kam of Burkina Faso. He has been an ad litem judge for the ICTR and a judge in several courts in his country. He also has served in his country’s Ministry of Justice. The more fascinating issue of the specified and recommended personal qualifications for these positions will be discussed in a future post. 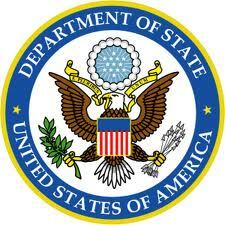 See Post: The International Criminal Court: Introduction (April 28, 2011); Rome Statute, Art. 36 (1), (9); ICC, Election of six judges–December 2011, http://www2.icc-cpi.int/Menus/ASP/Elections/Judges/2011/2011.htm. A future post will discuss the Rome Statute’s specified qualifications for judgeships as well as recommended qualifications proposed by civil society. Rome Statute, Art. 36 (7), (8)(a). International Coalition for the International Criminal Court, Information about the Nomination and Election of Six New Judges and the Prosecutor, New York, December 2011, http://www.coalitionfortheicc.org/documents/. ICC, Election of six judges–December 2011, http://www2.icc-cpi.int/Menus/ASP/Elections/Judges/2011/2011.htm.